Veggie Grill—one of the nation’s most successful all-vegan fast-food chains—is expanding to New York City, with plans to open a brand-new restaurant in the Flatiron district in summer 2019! Known for its mouthwatering plant-based sandwiches, salads, and more, Veggie Grill enjoys a strong presence on the West Coast, with locations in California, Washington, and Oregon. Employing 750 people at 31 locations, Veggie Grill was named one of the “25 most innovative consumer brands of 2016” by Forbes magazine and was voted “favorite vegan chain” by VegNews magazine in 2016 and 2017. The chain has been experiencing rapid growth in 2018 and just opened its first Midwest and East Coast locations in Chicago and Boston. So this news from NYC should come as no surprise. With yummy customer favorites like the Buffalo Bomber sandwich, Beyond Burger, and Savory Kale Caesar salad, the menu has something for everyone. As more people find out about the horrific animal cruelty and environmental degradation inherent in animal agriculture, they’re ditching meat and other animal products in favor of vegan alternatives. Restaurants like Veggie Grill are taking advantage of this growing market by providing delicious vegan options. Plus, the Big Apple has more vegan eateries than any U.S. city, with nearly 600 completely plant-based restaurants—so Veggie Grill will be in good company. Not in New York? You don’t have to wait for a Veggie Grill to open in your town. Most cities have incredible restaurants that are either all-vegan or able to create fantastic vegan dishes. You just have to know how to find them. Of course, Google is a great resource, but here are some other ways to find vegan restaurants near you. The abundance of vegan alternatives and the increasing popularity of animal-free dishes make now a better time than ever to ditch meat and other animal products for good. 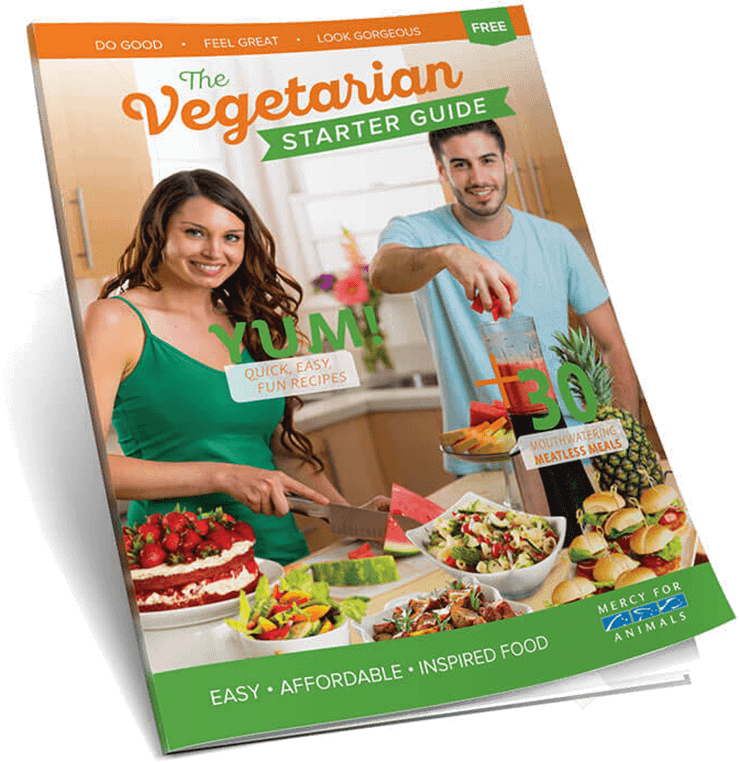 Order your FREE Vegetarian Starter Guide today.